Why Agriculture Exhibition in Madhya Pradesh? Madhya Pradesh, The Second Largest State of India and located at the Center of India, has been growing its Agriculture Industry strongly for many years. The state has been winning Krishi Karman Award Consecutively for the highest production of Wheat and Food Grains. Madhya Pradesh has also received Honour of the Best Agriculture State of India in the year 2013 for the highest agricultural growth (18%-19% during the year). Agriculture Exhibition in Madhya Pradesh is highly essential to increase growth of the Industry. Madhya Pradesh cultivates all major types of crops such as Soya Beans, Other Beans, Cereals, Pulses, Oil Seeds, Cotton, Vegetable and Fruits, Sugar Cane and Spices. Along with Strong Agriculture Farming numbers, Madhya Pradesh is one of the most important states in terms of Livestock Popultation and Livestock Farming as well. Madhya Pradesh holds highest cattle popultation in India and livestock produces such as Milk, Meat, Wool, Eggs and Broilers are increasing at a remarkable rates every year. If implemented professional practices and latest technologies available, Livestock Farming would emerge as one of the top professions at Madhya Pradesh. Madhya Pradesh is also blessed with presence of 5 Main Rivers of India, which makes its land highly fertile and paucity of water may not be faced as acutely as any other state without rivers. Madhya Pradesh is also surrounded by 5 States of India which makes it a favorable location for Industry players to manufacture and have easy and low cost transportation of products. 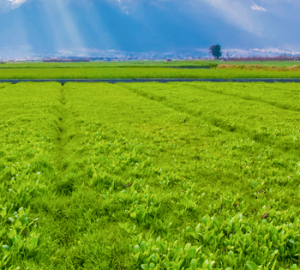 Madhya Pradesh is the latest target State for all Agriculture Business Houses due to its emerging growth of agriculture and all favorable resources available. 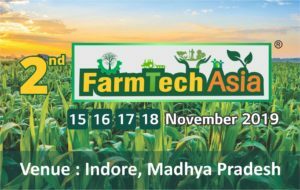 Agriculture Exhibition in Madhya Pradesh would help the State Farmers to observe the latest technologies available in farming methods and best practices applicable to have maximum output and lower costs in both, Agriculture Farming and Livestock Farming. For Government to display and explain their schemes for Farmers. Also, they can discuss upcoming Tenders for Suppliers. 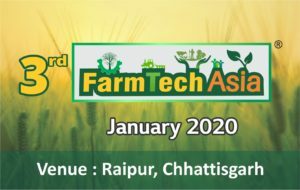 FarmTech Asia would play a vital role in development of Agriculture Industry by its Agriculture Exhibition and Agriculture Conference.